That’s Me! 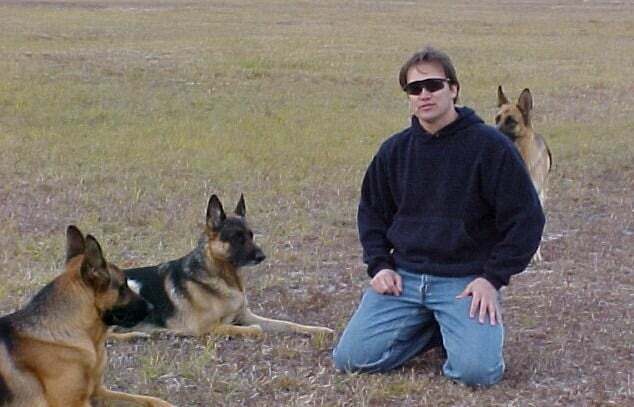 Mike, Kennel Owner and Breeder with my German Shepherds. 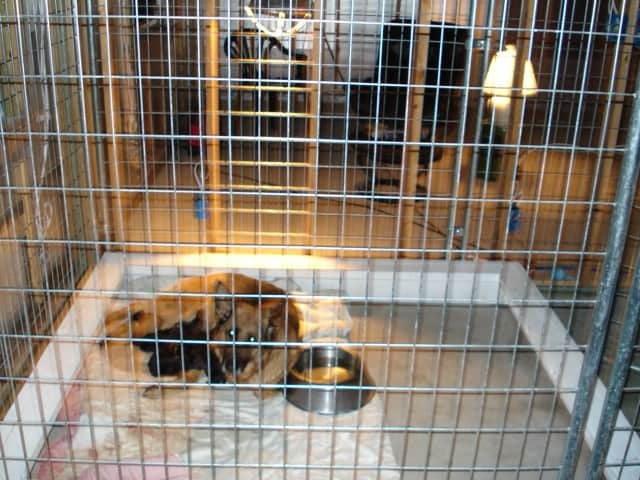 Whelping boxes are always clean and puppy friendly. 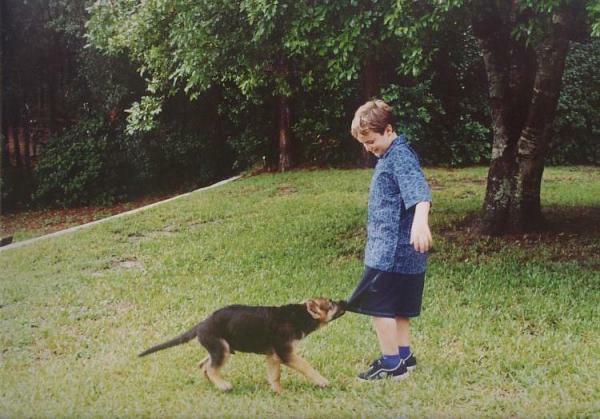 Pups are always given individual time and love. 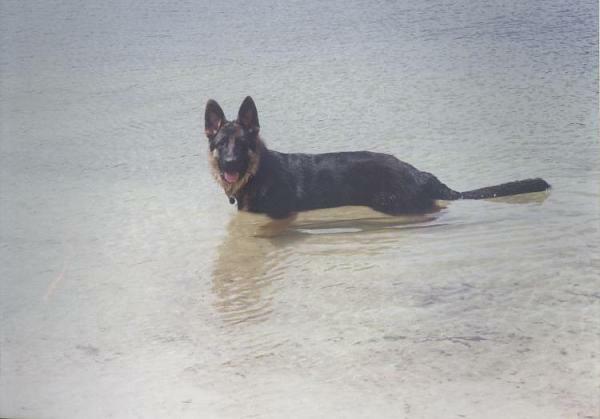 German Shepherds like water, and they get plenty of swim time at the facility. 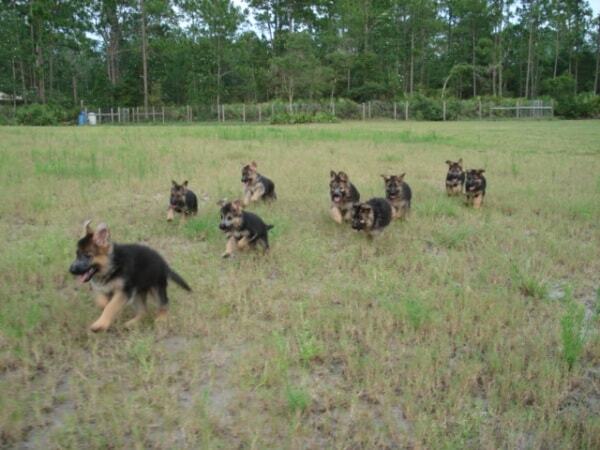 Pups enjoy running in a pack. Most of their socializing skills are with each other. I learn much about my pups temperaments not only by testing but by how they interact amongst each other. These first 8 weeks are crucial in their development. At Shepherd’s Meadow they have the perfect environment. 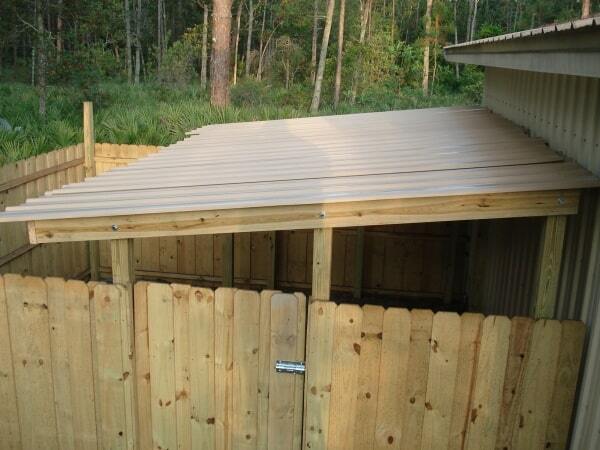 Our new pen houses our litters securely and comfortably.